Thank you for joining me as we count down to the next MFT release. We are only three days away from the big day! All the new Stamps, Die-namics, and Stencils will be available on Tuesday, February 3 at 10:00pm EST. Be sure to check out the MFT Blog to see all the new items being revealed today. Don't forget to leave a comment on the MFT Blog. Countdown posts, YOU could win one of the five $75.00 gift vouchers. I am so excited to share these two cards with you today. 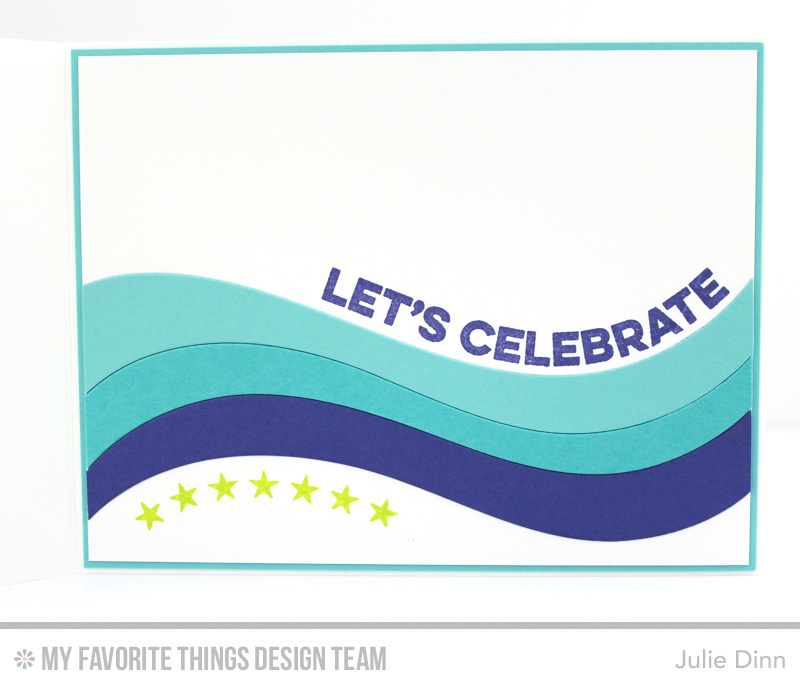 They feature the new Ride the Wave Die-namics and Wavy Greetings stamp set. I can't tell you how much I enjoyed using these two sets. I LOVE the way the sentiments fit the curve of the waves. 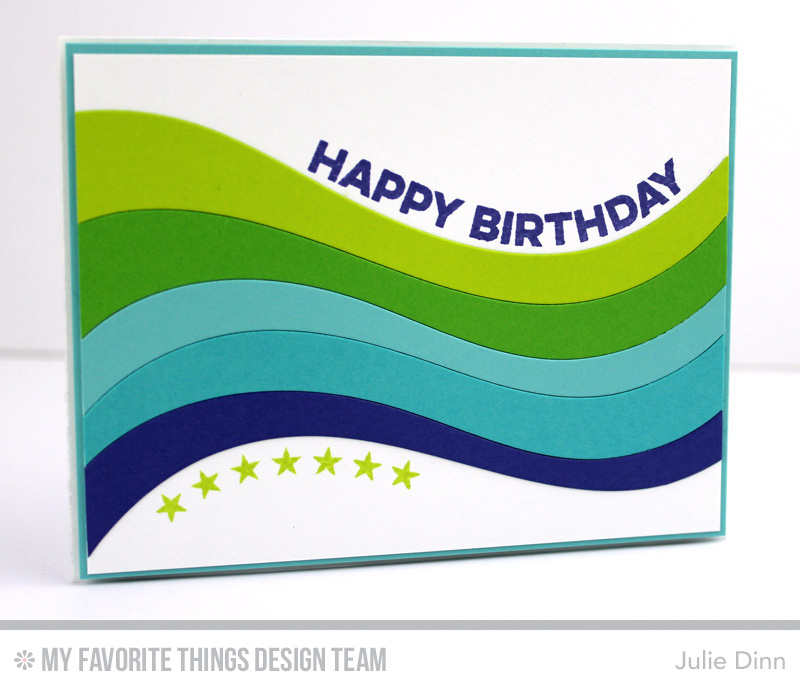 On this first card I die-cut the waves in Limelight, Green Room, Summer Splash, Blu Raspberry, and Lavender Fields card stock. The sentiments were stamped in Lavender Fields Premium Dye Ink, the starts in Limelight Premium Dye Ink. 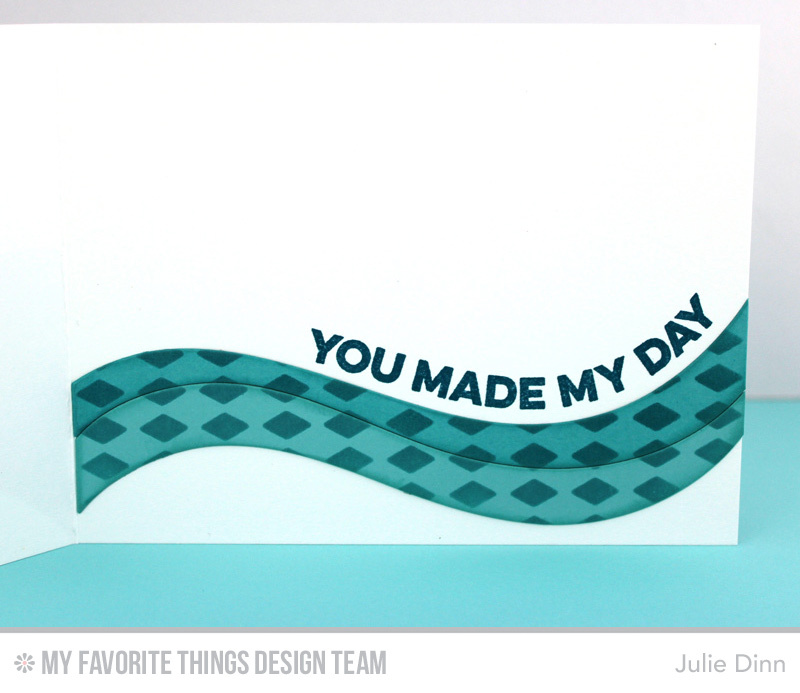 On my second card, I used the Harlequin Stencil with the Ride the Wave Die-namics. I added a bit of Scor Tape behind the die-cuts to keep them together when I sponged the ink over the stencil. I continued the same design on the inside of the card. What an awesome set and die! Love it!! this set and all of the other products look like I am going to have big budget problem very soon! I love the design in your waves! versatile , versitile, and beautifully done.